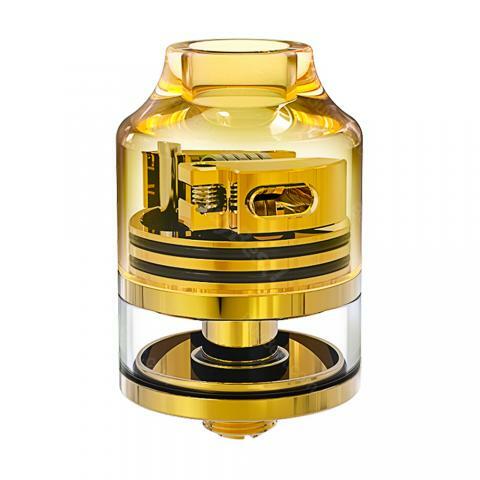 Oumier Wasp Nano RDTA is an eye-catching rebuildable dripper tank atomizer with 2ml capacity and 22mm diameter. The Wasp Nano RDTA features an innovative post build for easy coil building and a unique airflow circling system, brings super flavor and dense clouds. It’s a good choice for both flavor chasers and cloud chasers. Wasp Nano RDTA by Oumier is a single coil rebuildable dripper tank atomizer with 22mm diameter. It has 2ml e-liquid tank capacity that can be filled conveniently. The Wasp Nano RDTA adopts an innovative spacious build deck, which is compatible with large and complex coil builds. The Unique airflow system brings circling airflow inside the chamber for super flavor and clouds. Together with its stylish appearance, the Wasp Nano RDTA is suitable for any type vapers. One of my friends recommended this oumier wasp nano. Indeed a very qulity tank. 2ml suits me well, as I like to swap juices often. WASP nano gold color looks amazing! Been using this wasp nano for 3 days, everything is perfect. Flavor and cloud both good.